What to do with a rotting whale? Discussion in 'The Pub' started by Killcrop, Apr 28, 2016. Seems like taking it out to sea is a bit more practical and less of a mess than cutting it up and taking it to a land fill for 30K. If it was a sperm whale, you'd have to hide it from your mom. Rimbaud, 67blackcherry, MustardCap and 4 others like this. Thats a few miles away , not sure if we're gonna' go see uh er smell it . CubanB, Rimbaud, Eric Rowland and 3 others like this. soulohio, Hwy14, MrAstro and 8 others like this. Sure, waste another 30 grand of taxpayer money and use up space in a landfill. Where are these peoples brains? Tow it out to sea and be done with it. 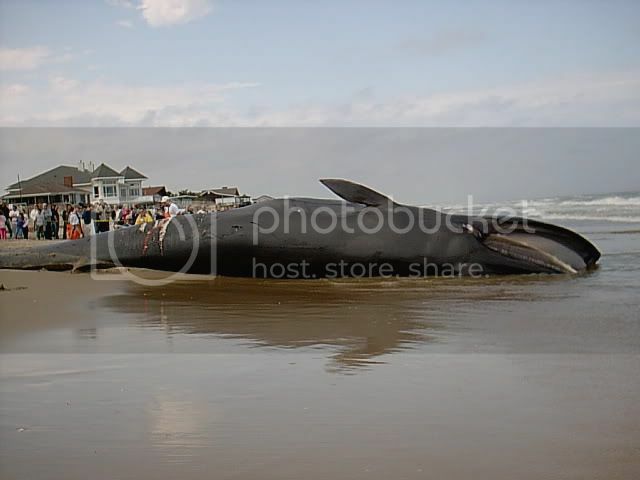 Dead whale in a landfill -- hmmm,....brilliant. this washed up on my beach a few years ago. Its a Fin Whale, second largest whale ever. They cut it up and buried it. Im not sure towing a 70 tonne dead weight out to sea is as easy as it sounds. Frankee, mdrake34 and korby like this. Seems like you could push it with a wide track dozer and then pull it with tug. The Reno 911 movie spoke to this. They just float back to another beach . Push it, pull it, tow it, to Golf Mill Ford. Frankee and seajay like this.